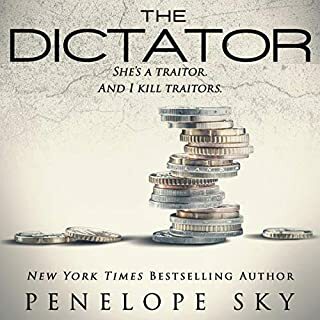 ©2018 Romig Works, LLC (P)2017 Audible, Inc. This spin-off of the INFIDELITY series acts as a sort of prequel to the series, as well. It’s important to note that this isn’t a romance story. Going into this book with that expectation will only lead to disappointment. This is very much about Oren Demetri’s life and how he makes a name for himself. This can be read as a standalone, though I have read the Infidelity series. It’s been a while since I’ve read them however, so I felt like I was being introduced to this world all over again. Oren is a complex character, and I struggled to connect with him as a whole in several areas of the story. I didn’t always get where he was coming from, and his choices made me lose respect for him. I also kind of wish there was more of a love story here, but we can’t always get what we want. There were moments where this lengthy story seemed to drag on and it lost my attention. Yet, moments came swooping in that pulled me back into it. This isn’t a story about hearts and flowers. It’s real, it’s tough, it’s complicated. There’s blood, and death, and betrayal. I love the way Romig weaves in different elements into a genre that has been exhausted. Just keep in mind that there’s no romance or HEA here, and I think your reading experience will be a bit better. On the plus side, the narration of Brian Pallino was excellent throughout. He really made the listening experience much more enjoyable. Incredible story, fantastic narration! Credit worthy! This was such an emotional story and audiobook. I truly felt like boarded a roller coaster of emotions with incredible twists and turns and stomach-clenching dips that made the ride intense, gripping, and fantastic. It was great. It was raw and emotional. I might have traded up a little. I really liked Angelina and Oren. She had an amazing ability to love. He was a very complicated man. I loved her and understood him. I heart also broke a little for him at the sacrifices he made. Narration by Brian Pallino was superb. He did an excellent job of bringing out every characters’ emotions. I really enjoyed his voice and look forward to more from him. All in all I loved this book! It’s not high on steam, but the story is so fantastic it doesn’t need it. 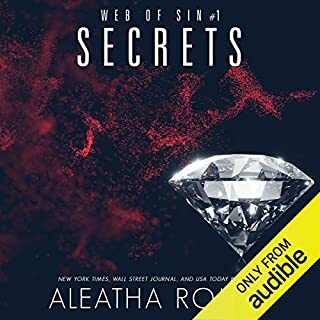 Story and narration for this audiobook are incredible and make it completely credit worthy! Now I feel like I need to go back and listen to the rest of the series. Better understanding of Nox’s insecurity. I had a preconceived notion of Oren Demetri having listened to Lennox (Nox) story. To me he was a horrible father and husband that’s how Nox portrayed him. After listening to this book I have to disagree with Nox. His fathers fault was he fell in love with a needy woman, got involved with a demanding family, got in to deep trying to please all concerned. Yes in name he owned his own business, but in theory he wasn’t his own boss. He was under the Costello family’s thumb. As a result Oren lost so much, Lennox especially, and his wife. I loved hearing Orin's story. it gave great perspective to the rest of the series. 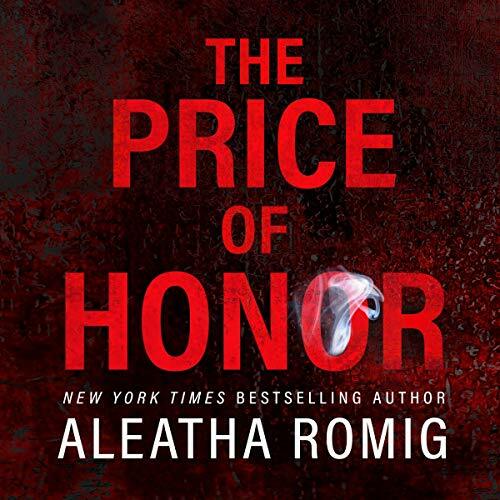 I am a huge fan of Aleatha Romig and Respect doesn't disappoint. Brain Pallino did a phenomenal job as Oren Demetri. Brian's voice is exactly how I pictured Oren and surprisingly I like him and understand why I didn't like him in the Infidelity Series. Oren married the love of his life but over time things became hard. Angelina Costello was his dream, his prize, his everything. She had a part of Oren's heart that no one could have fill but her family and what they did in the world made things hard. Oren had a hard time choosing what side he should be on, his wife and any children they would have or her uncle and all the things that come with him. This decision made life hard and eventually things changed. I understand why Oren did the things he did and I also understand why I didn't understand him throughout the Infidelity series. The way he was treated and how he treated others came from the life he had to live while married to Angelina. 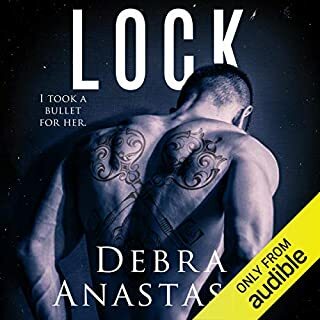 I loved this story but I loved the audio more!! I wish there was more stories in this series with Oren!! What a wild mafia ride. Littered with Love that knows no bounds. Bonds that make a family strong. Action adventure and secrets that can eat at one’s soul. How can you not need this story in your life!! It really gives a great insight on how much a person can do and give for those he loves. The narration is on point bringing life to these characters to life in ones mind. The emotions pour out of their voice and catch you right from word one. WONDERFUL narration for an even perfect story! I’ve wanted to read/listen to the Infidelity series for a long time. So Respect is my introduction to the mafia world that is the Infidelity series. I just had this feeling that this book was going to start a love affair that I could no longer ignore. I was right… I now HAVE to listen to these other books. I will, oh I will fly through these! 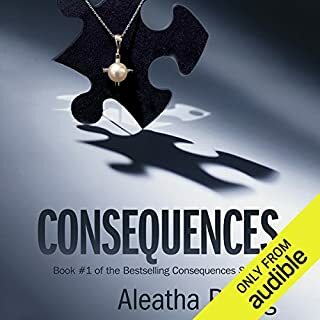 Aleatha Romig created a truly intriguing story. Respect reads so differently that most romance books. It’s really kind of like the making of a man, of Oren Demetri. Oren is immediately captivated with Angelina Costello when glancing at her across the room in a college class. That’s all it took… soft and subtle glances across a busy room or even hard and intense gazes that rocked them both. I love the way Respect gives us Demitri’s life over the years… the ups and downs of love and family, of business and mixing family and business. I’m not going anymore into this storyline. Romig did a superb job creating something truly unique and special! The narrator Brian Pallino was amazing. He was so strong in his voice and speech. I loved the back and forth between English and Italian. He flowed so perfectly between the two. Pallino projected the feelings perfectly between the businessman Demitri and the man in love. I laughed, was tense, fearful and ugly cried. The narrator held your attention the entire story. The story held your attention the entire book. Wow. Just wow. Respect is a wonderful addition to the Infidelity series. 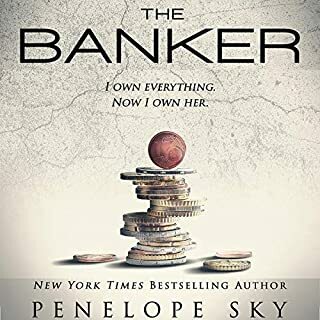 This book actually takes place before the first book, Betrayal, in the series and is the story of Oren Demetri. We learn Oren's history with Angelina, the Costello family, and his business. And we learn more about Sylvia, a hidden gem in this series. This book will put Oren in a whole new light. I loved listening to Brian Pallino narrate this story and bring Oren and the rest of the family to life. Well done. A Bird's Eye View inside A Mafia Family! Standing at what I believe is the precipice of my life, I, Oren Demetri, was too young to understand that it wasn't and too old to imagine that it couldn't be. I'll admit, I didn't much care for Oren in the Infidelity series, he was always the pinnacle of hate for Lennox and was portrayed to be a neglectful and absent father through Lennox's eyes. Here we see how the relationship between Oren and Lennox broke down. My heart just bleed out for Oren and my feelings are in turmoil. I completely fell in love with Oren I could feel the strain and torture that troubled him every day.